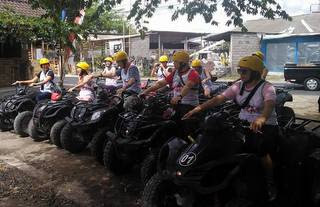 See the most exciting tourist object in Bali and enjoy the nature. See the nature of the island by having 8 days 7 nights Bali round island travel package, offer you the large option for trip customize by travel around the island with 8 days sightseeing and overnight stay to move around the island. To see the most exciting part of the island you should prepare your longer stay in Bali. There are still many places haven't been so promote about the island and The green dry farm area around the highland and beautiful scenery of the sunrise by the sea or even catch it from the top of volcano area. Those are some special of picture moment of Bali instead of the temple and shopping. With the round island trip, it’s possible for you to have the exciting memories of Bali by driving around and enjoy some of the great nature experience. We assist you by advise some of our tentative itinerary plan or as our regular service style that we keep you to customize or apply some places to switch of our itinerary. During your travel around you may need to arrange you places to stay by booking online or even you request for hotels as a package for your party. Please see my itinerary advice. Day 2nd: Start at 9 am directly check out from your hotel and request to visit of some places along the way such as Tanah Lot temple, taman ayun temple, Horse ridding, Bali river rafting, ulun danu temple, Banyumala waterfall, jatuluwih, twin lake and overnight by Munduk Village with the beautiful agriculture spices farm area along the blue mountain. Day 3rd: Start at 10 am for visiting some places along the way to the north of Bali with some object along the places such as Munduk waterfall, Banjar hot spring, Buddhist monastery, and check in early in lovina. Day 7th: Start at 9 am for full day free and easy tour for 10 hours, please be request for your special refreshment plan after 6 days go around the island. If you feel some places haven’t cover yet then please be apply to quote on this day (day 7th). No deposit except you request for hotel arrangement from me. For one day tour since some places located not exactly one route then we have to set your point of interest as per possibility route. We will keep follow the one way driving without turn back routing. Please inform me whether you request for hotels included or not. Never hesitate to email me to finalize your plan. 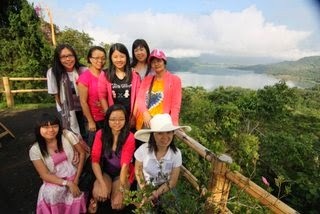 Start at 10.30 am to visit the Ulun Danu temple, twin lake, and Banyumala waterfall, overnight at Munduk Home Stay. Start at 6 Am for sunrise, dolphin and snorkeling combine as one morning sea activities, breakfast and continue your journey to go for the hidden magnificent waterfall named as Sekumpul Waterfall. Natural trek and natural exercise to get the un promote waterfall in Bali. Next is direct drive to Volcano for overnight at Lake View hotel with great mount Batur view. Advise you to prepare for having local food along the way or lunch box may no restaurant available along the way till late afternoon at the volcano. Start at 3.30 Am for Mount Batur trekking, sunrise and back to hotel, after breakfast and rest, at 12 PM continue your journey to Bali coffee farm, Balinese house compound, Bali Spa. Overnight in Kuta. Free ans easy Full day charter around the South Bali with open object selection as your interest. The package will serve with ac car, English speaking driver. Exclude lunch, dinner, extra activities fee. Hotel only include for overnight stay at Lovina and volcano area. 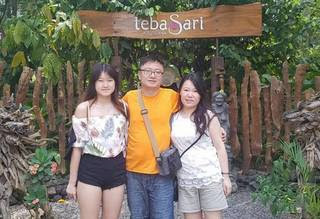 The day 7th itinerary may discuss with the driver directly as a free space of car charter, I allow you to request some places to visit with limit around south Bali area. If you have other itinerary as your request, please apply to me. Please check other option of our package available for your shooter stay!